It is said that “April showers bring May Flowers”. Yeah, that was a predictable opening, wasn’t it? I managed to see more films in the first week of April than in the entirety of March. Though the summer blockbuster season isn’t quite upon us just yet, this proved to be an interesting month as far as films went. As a new(-ish) feature, I’ve decided to color-code the films I’ve seen this time around. They correspond with my usual ratings (so green = recommended, yellow = mixed, and red = not recommended). That way, if you’re interested in seeing it yourself, but want to go into it completely spoiler-free, you can find out what I think about it right away. Isle of Dogs – After The Grand Budapest Hotel, which is easily one of the best films from this decade, Wes Anderson decided to follow it up with his second stop-motion animated film. Boasting an all-star voice cast, this film about a mayor in Japan who mandates that all dogs be exiled to Trash Island due to a new flu virus strain being spread by them has that distinct Wes Anderson touch where he will force a laugh out of you even during some of the more melancholy scenes. A Quiet Place – Well, it finally happened; a film co-produced by Michael Bay managed to get over 95% on Rotten Tomatoes. While I could imagine a cynical person would use this as evidence of critics’ tastes devolving, most of them would have egg on their face after actually watching A Quiet Place, for it is one of the greatest thrillers I’ve seen in theaters in a while. This film about an invasion of blind predatory creatures with phenomenally precise hearing will have you rooting for the family’s survival. You Were Never Here – You Were Never Here follows the story of a combat veteran/former FBI agent with severe PTSD. He is often called upon to rescue girls from human trafficking rings. In a way, it reminds me of last year’s release, Good Time, in how it depicts the seediest aspects of New York City, and its protagonist goes through a similarly bizarre odyssey. In the end, I thought it was decent; it was quite a strange film, and figuring out where it was going got a little difficult at times. April of 2018 had me break my personal international film marathon with the very first one I saw. Animal House (1978) – For some reason, I thought it appropriate to celebrate Easter by watching one of the most beloved comedies of all time. What do you mean “that’s not how people celebrate Easter”? Anyway, Animal House falls in that strange category of works that proved influential, inspiring many other wacky college films, only to stand above 99.9% of the products that clearly followed its lead. I think what helps is that, much like a lot of other similar cases, Animal House actually comes across as slightly deconstructive compared to the typical wacky college film. Either way, considering how many iconic lines spawned from this film, watching it was something that was, for me, long overdue. With many classic gags and great performances, most notably from the late John Belushi, it did not disappoint. “Knowledge is good”, indeed. Raiders of the Lost Ark (1981) – As difficult as it is to believe considering what a pop culture juggernaut the Indiana Jones franchise is, this was the very first time I actually saw the original film all the way through. Why it took me as long as it did to finally see it is something I couldn’t tell you. Either way, its reputation as one of the greatest films ever made is 100% deserved. In a way, I feel that having played the Uncharted series, I knew what to expect out of this film, though with performances far more charismatic than anything Naughty Dog could muster, it completely blows any of those games out of the water. High and Low (1963) – High and Low isn’t as recognized as some of Akira Kurosawa’s other films such as Rashomon or Seven Samurai, which is too bad because it is an excellent film. It is quite a bit different from his usual fare, being a police procedural set in contemporary Japan. Kidnappers target the son of a rich businessman named Kingo Gondo, and demand a ransom of 30 million yen for his return. Gondo is in the middle of a tricky position where if he were to pay the ransom, he would lose his chance to gain control of his company, and consequently ruin his family’s future. |Though he’s willing to do anything to get his son back, things get more complicated when it’s revealed the child they kidnapped is actually that of Gondo’s chauffer.| I really enjoyed this film because it how dynamic the story ended up being. |I was led to believe negotiating with the kidnappers constituted the entire film when it ended up being resolved around the halfway point. In fact, it’s a rare instance where a kidnapping victim played a role other than simply being the kidnapping victim, which I thought was a nice touch.| It’s an underrated masterpiece that needs more recognition. Nostalghia (1983) – I find it appropriate that Jonathan Blow’s The Witness featured a clip of this film because I have the exact same feelings towards both works. Similar to how I wouldn’t recommend The Witness to anyone who finds the late 2000s/early 2010s indie game zeitgeist insufferable, I couldn’t recommend to Nostalghia to anyone who isn’t sold on the concept of an arthouse film. It got off to a good start, but the borderline incomprehensibility of its threadbare narrative made for a very boring sit, which is exacerbated by long shots that don’t go anywhere. I can accept that it’s not for me, but it’s a difficult sell any way you slice it. Ugetsu (1953) – This classic film is credited with popularizing Japanese cinema in the West. Directed by the great Kenji Mizoguchi, Ugetsu is set in the Sengoku period, and it’s a dynamic film that manages to be a great anti-war piece along with being an intriguing ghost story. It’s about a potter whose farming village is devastated by Shibata Katsuie’s army, and a friend who wishes to become a samurai. It’s one of those films that will keep you guessing the entire time, and an instance where it was a product of its time and place in the best possible sense of that term. The Third Man (1949) – Part of what spurred me into watching this film is that it was one of Roger Ebert’s personal top 10 list. All I can say after watching it is that he knows how to pick them. Set in a post-war Vienna, The Third Man follows the story of a man who attempts to investigate the murder of a friend. This film takes many twists and turns few would be able to see coming and ends in one of the most memorable chase sequences in cinema. Helped by the fact that it was shot on-location in a war-ravaged Vienna, the sheer grittiness of the setting shines through – even if it is accompanied by a jarringly unfitting soundtrack. 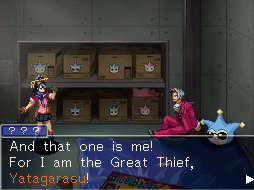 Ace Attorney Investigations: Miles Edgeworth (2009) – I always thought of this game as being inferior to Justice for All. Though “Farewell, My Turnabout” easily dominates anything Ace Attorney Investigations has to offer, I now think of it as the superior effort simply by virtue of being more consistently good than Justice for All, which requires you to wade through the worst episode in the series to get to the incredible finale. Nonetheless, though Ace Attorney Investigations was an admirable effort and did wonders for the character of Miles Edgeworth, this new team clearly more practice with the franchise before they could match |and surpass| what Mr. Takumi accomplished with the original trilogy. 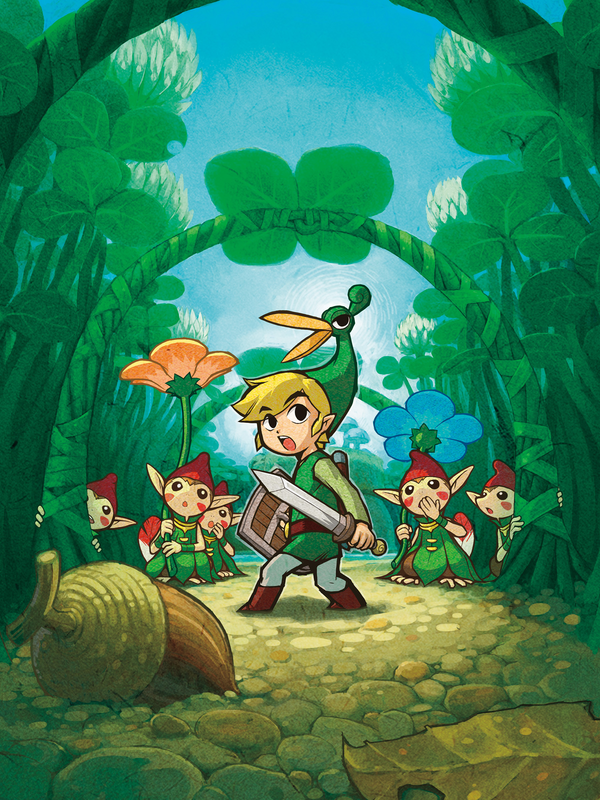 The Legend of Zelda: The Minish Cap (2004) – Link’s Awakening may get more recognition in retrospectives and from retrogamers, but I firmly believe that at the time of its release, The Minish Cap was the best handheld Zelda game. 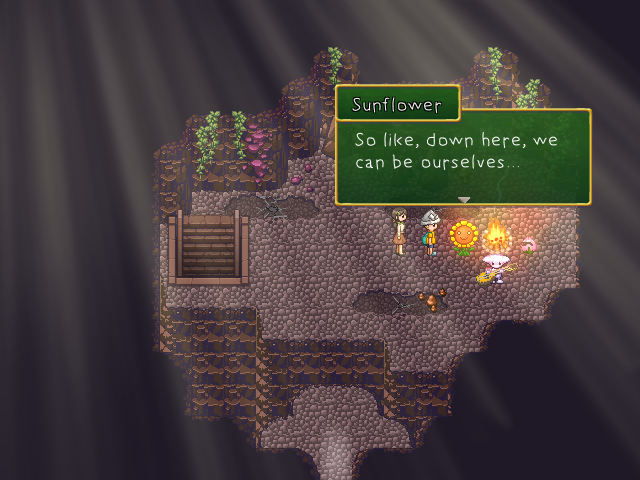 It featured a story that fit better with the series’ identity on top of being a better standalone game than either Oracle of Seasons or Oracle of Ages. True, its attempts at incorporating 3D elements into a 2D experience didn’t always result in a seamless transition, but there is a fair amount of ambition to be found, and it ranks as one of the stronger 2D installments as a result. Bokosuka Wars (1983) – Believe it or not, Bokosuka Wars has the honor of being the very first game I’ve reviewed this year that was not made in the twenty-first century. For that matter, it’s currently the oldest game I’ve reviewed, having been released two years before Ultima IV. As I said, it was an inventive game for its time, but it has not held up well at all. Even for historical purposes, I can’t think of a reason why anyone should play it. In fact, reviewing this game caused me to change my grading system slightly. I used to have a rule stating that the lowest score a game that played an important role in shaping the medium could get was a 4/10. After reviewing Final Fantasy II, I changed it to a 3/10 because though it was a step forward for storytelling in video games, I couldn’t recommend playing it in any capacity. Playing Bokosuka Wars caused me to excise that rule entirely. As loathsome as Metroid: Other M and Call of Duty: Ghosts are, I couldn’t come up with a model where Bokosuka Wars would be allowed to exist on a higher tier than either of them – even after factoring in historical significance and innovation. From now on, being an important milestone will be noted in the “Pros” list, thus acknowledging it as a redeeming quality. Rakuen (2017) – As I’ve said in the past, Rakuen is one of those games that manages to easily grasp something when I’ve seen countless artists fail in their own attempts. In this case, it’s a better take on the emotionally driven narrative than a majority of its contemporaries. In fact, I would posit that it’s the best take on such a narrative since Dragon Quest V twenty-five years earlier. I give Ms. Shigihara credit for knowing what should go into such a narrative while also realizing when enough is enough – a little restraint goes a long way, after all. 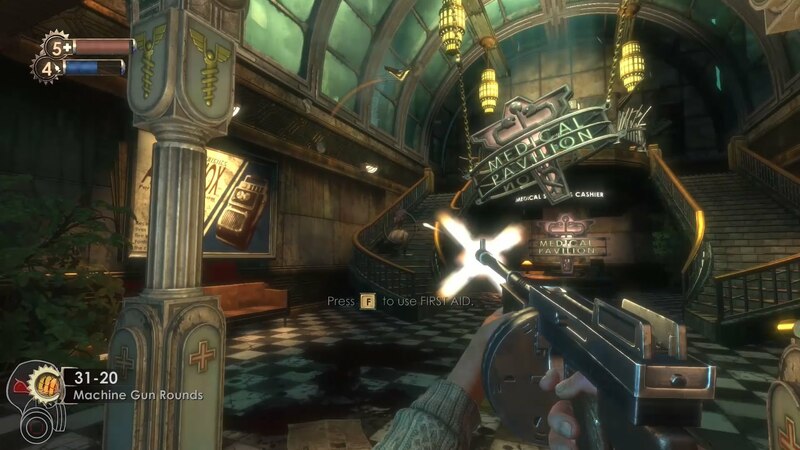 BioShock (2007) – A few years ago, I wrote a piece on BioShock: Infinite, but I decided to take it down when I posted my review of this game because it wasn’t very good and my opinion of it has changed slightly since then. You can expect a rewritten review after I get around to completing and reviewing BioShock 2. Anyway, the original BioShock may not be a strong contender for the greatest story-driven experience in the medium these days, but it’s still a decent title that I think could at least serve as a good introduction to these kinds of games. Though System Shock 2 fans insist it’s the superior effort, I feel the comparatively simplistic gameplay of BioShock ensures that a greater number of people would want to see it through. Intelligent writing doesn’t mean anything if you’ve made your experience so inaccessible that only a few people would want to see it through to the end. In the end, I still feel that BioShock was less the result of dumbing down System Shock 2 and more the result of shedding the dead weight that was holding the older effort back. Undertale (PS4) Review by themancalledscott – Scott of the Wizard Dojo, having played through the PlayStation 4 edition of the brilliant indie game, Undertale, wrote a review of it. Some of the more cynical members of the community claim it to have been a “Flavor of the Month” game, but both he and I can assure you that’s not the case at all. Super Mario Galaxy Retrospective by Nick the Gent – It’s been about ten years since the release of Super Mario Galaxy. In his excellent retrospective, Nick the Gent talks about the 3D installments leading up to Super Mario Galaxy, discussing how the series changed over the years and why it could be considered the best game in the series at that point in history. Do You Need To Be Good At Playing Video Games To Review Them? by reviewsbyquinn – After the internet mocked an exceptionally poor demonstration of the indie game Cuphead courtesy of VentureBeat, many people, including Em at reviewsbyquinn, began asking the question of whether or not critics need to be good at playing video games to review them. My personal take? I feel somebody – whether it was the journalist himself or one of his bosses – should have taken one look at that footage, realized it wasn’t interesting to watch, and scrapped it. Though the internet went too far in their backlash, that nobody was willing to accept how disastrous the footage was beforehand denotes a lack of respect for the art of discussing games. Can Movies Learn From Video Games? by Imtiaz Ahmed – In his third podcast, Imtiaz Ahmed asks what films could learn from video games. He also talks about a litany of other subjects such as how films have changed over the years and how they’ve grown dependent on rehashing old successes. In a way, modern filmmakers aren’t so different from game creators; they want to be taken seriously in a medium that has had an extensive legacy – to create something considered true art. Cave Story+ by Mr. Wapojif – Mr. Wapojif takes a look at the title that was ground zero for the indie scene. It recently received a port for the Nintendo Switch, and though he acknowledges that plenty of better games have come out since its original release, he makes the case that it remains a solid effort. Being female in gaming by thegamingdiaries – It’s always interesting hearing about what entering the hobby of gaming is like from a female perspective. Though most communities are welcoming to female enthusiasts, a lot of progress needs to be made, and it never pays to grow complacent. Cuphead Review by SmashCut – After having a minor controversy involving the game Cuphead, I thought it would be appropriate to highlight an actual review of it. SmashCut’s take on the game is both concise and makes me want to play the game even more than I already had. On Shin Megami Tensei by Aether – In the Shin Megami Tensei metaseries, I’ve only ever played Persona 4, but I really enjoyed reading Aether’s take on it. As a metaseries, it has explored many ideas over the years, and it’s interesting going back to the 1992 Super Famicom game and seeing how different it was back then. Sometime this month, I intend to review the sequel to Ace Attorney Investigations, which was dubbed Prosecutor’s Path in the fan translation. The only thing I will say right now to avoid getting ahead of myself is that the team managed to bounce back big time with this installment. Naturally, it will be followed up with the next Zelda installment in line: Twilight Princess. Before any of that, however, there is a game I want to review for this specific Friday. Try to guess what franchise it’s a part of! Because I tend to see at least one film per weekend, I’ve also decided to make my discussion of the ones I’ve seen a weekly post rather than cramming them all in the monthly updates. A Question for the Readers #5: Abandon Ship! Well, that’s all I have for now. Up to anything interesting this month? Excellent work throughout the month. I couldn’t catch all of your reviews, but the ones I did read were excellent, as usual. I am looking forward to watching Isle of Dogs, because I recently finished watching the entire Wes Anderson filmography and it was quite a ride. There were some ups and some downs, but it was mostly very enjoyable. Thanks! I’m glad you’ve been enjoying these reviews. 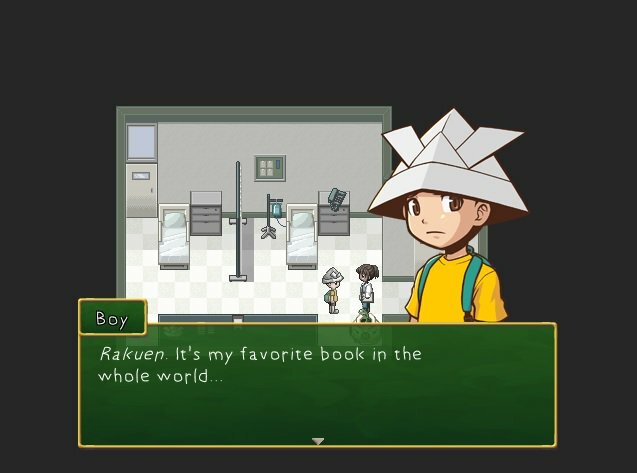 You should check out Rakuen if you haven’t already; as far as I can tell, any halfway decent computer can run it. I had only seen Moonrise Kingdom and The Grand Budapest Hotel leading up to Isle of Dogs, but I enjoyed all three of them. Indeed, The Grand Budapest Hotel ranks as one of my favorite films of this decade. I’m especially interested in seeing Rushmore at some point. You are welcome! I will check that review out to have an idea of what the game is about, as I had never heard of it. Rushmore is pretty good, but I think that – from the early portion of his career – The Royal Tenenbaums is easily my favorite. Awesome blog post! It’s interesting to see just how much you have gotten through over the past month. Isle of Dogs was truly mesmerising and I’ve heard a lot of great things about A Quiet Place. As for Zelda Minish Cap, it will stay as one of my favourite 2D Zelda titles for a long time. It’s incredibly charming. Have fun playing Twilight Princess, it’s brilliant. Still not quite Wind Waker levels of good for me personally, but it’s got an engaging story and some of the finest music in the series to date. Looking forward to seeing your summary of May! Thanks! And I know what you mean; when I took a look back at the first films I saw in April, I was amazed all of it occurred within the same month. I highly recommend A Quiet Place if you haven’t seen it. The Minish Cap definitely is one of the better 2D Zelda games. Yeah, I have to say that Twilight Princess is a solid game. I actually liked it more than The Wind Waker, but both manage to be better than other series at their best. I especially liked the dungeon design in Twilight Princess. You’re welcome! There’s no denying that Super Mario Galaxy and its sequel are superb games. The former was what the series needed after Super Mario Sunshine, which was decent, but experimental in the sense that some of those ideas didn’t land. One game I want to play but have not played is Undertale. I have not read any reviews because I want to experience it myself. I heard so many people enjoyed it. Perhaps, one day I will get around to it. You should definitely do that; all I’ll say now that it’s one of the very few games that I’ve awarded a 10/10. Okay! I will play it after I’m done with Rule of Rose. Excellent! Hope you enjoy it. Thanks! I can assure you that in these kinds of posts, spoilers will be marked appropriately. I do tend to have unmarked spoilers in my normal reviews, but I signpost them ahead of time. I hope you end up checking out the other films I highlighted in green because they’re well worth a watch. Undertale a “flavor of the month” game? As if it’s some modern Final Fantasy or something! Anyway, thanks for the shoutout (first mentioned, YES!). I was hoping to get another mention in this monthly blog. I have been meaning to see Isle of Dogs, as I greatly enjoyed Fantastic Mr. Fox. Hopefully I’ll get to that in the next few days. I have to say, I think Infinity War is my favorite movie this year so far. It certainly lived up to all the hype, which is rare. Hopefully part 2 lives up to it. Personally speaking, I do think people who write about video games need to at least be competent at them. It would be one thing if that notorious journalist were having trouble with one of the harder levels of Cuphead (you don’t need to be an expert), but the fact that they couldn’t figure out how to jump and dash when they were in a tutorial and it’s literally telling him what to do is an embarrassment. You don’t have to be a video game pro, but if you can’t even figure out a basic button press or two, they should probably be writing about something else. Also, I have to agree with whoever it was who praised Super Mario Galaxy. That game remains a masterpiece, and as I’ve stated in the past, to me it seems like that moment in gaming that revitalized that most exceptional level of quality. Yeah, but I wouldn’t take that assessment seriously. Something like Gone Home was a “Flavor of the Month” experience; Undertale is the real deal. You’re welcome! You’ve been dishing out those reviews, so you earned it. Isle of Dogs was great; I know you’ll like it. I have seen Moonrise Kingdom and The Grand Budapest Hotel, but not Fantastic Mr. Fox. I do like Wes Anderson, so I’ll probably end up seeing that sooner rather than later. Infinity War was good, but because it ended the way it did, I get the feeling I won’t know what to think of it until its follow-up is released. That Cuphead footage was pretty dire, wasn’t it? As I said, the backlash was the kind of ineloquent, puerile rebuttal one would expect from that crowd, but at the end of the day, the folks at VentureBeat should never have uploaded that video. To me, it demonstrates the lack of care they put into their craft. And yes, one doesn’t need to be a professional gamer to parse a game, but what VentureBeat did I liken to a film journalist recording a film during their private screening on a cell phone with a shaky arm and claiming it to be actual footage from said film; it was unprofessional on all fronts. Super Mario Galaxy and its sequel are indeed excellent games that everyone should play. Nick the Gent wrote that, so you should check that one out. You’re welcome. And I agree; Rakuen is a good experience – it manages to be a better take on the emotionally-driven narrative than a majority of its contemporaries. The only other game I can think of that manages to be as successful weaving that kind of narrative is Dragon Quest V.
That’s a lot of movies behind you, this month. I’m still trying to recall the last time I’ve even watched a film. Maybe I need to make that a bit more of a priority. And hey! A good mix of games this month! Even the bad one shouldn’t have taken too long to plumb, and the middling ones had plenty of positive features, so get some quality time in there. I recall you saying that you liked Rashomon last month, so I strongly recommend High and Low; it’s one of those films that quickly became a firm favorite as soon as I finished it. The next Kurosawa film I intend to see is The Hidden Fortress – the film that inspired George Lucas when creating Star Wars. 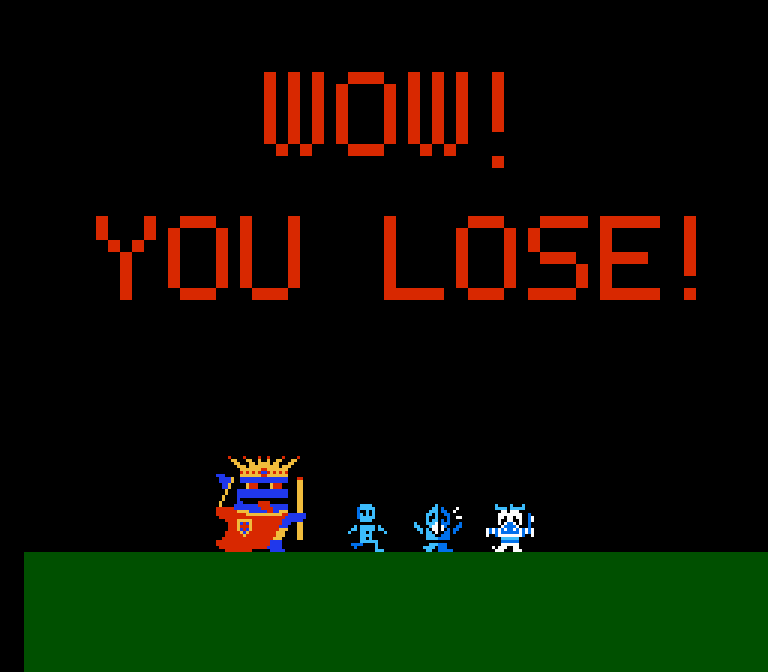 Bokosuka Wars was no NES Dragon’s Lair, that’s for sure. Getting through it wasn’t too difficult, and as you say, the middling games this month were redeemable enough that I can look back at them favorably.